Hi ho, hi ho, off to Butuan I go. 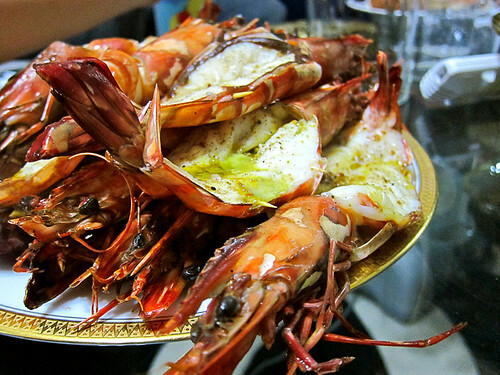 Left early Saturday morning and got to Butuan just in time for…lunch at Tito Ben’s house! Yay! Don't be jealous. I ♥ you just as much, kinilaw! To be honest, I never really cared much for this freaky fruit and this was the first time I really tried Durian. With an open mind and a full stomach, I just grabbed a whole seed and bit into the creamy flesh. I was surprised to find myself really enjoying it. It’s an acquired taste if you can get past the smell, I guess. But to those who really love it (ie. 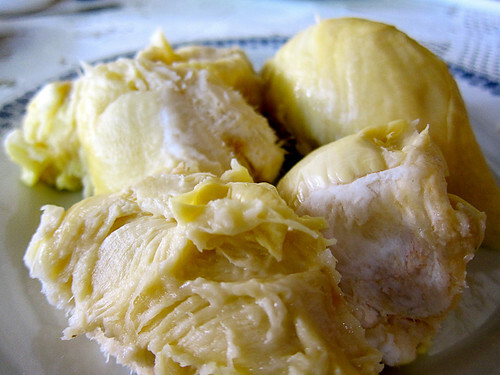 Butuanons), the hunt for the perfect, sweetest Durian is like the search for the Holy Grail. That is if the Holy Grail had an odor. We spent the rest of the afternoon walking around the nearby streets with the cousins and swimming in the hotel pool with Ro. After a quick nap, we went back to Tito Ben’s for dinner where they served…leftovers?!? YES!!! 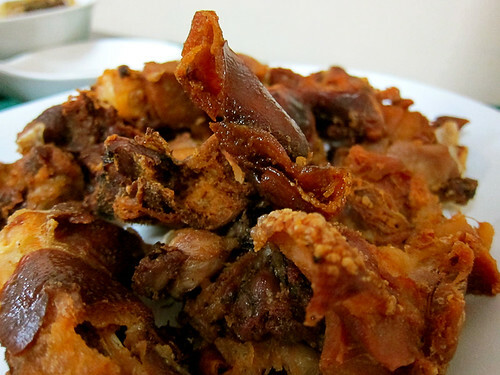 If there was an award for “Best Use of Leftovers,” Fried Lechon would definitely win. Twice. Haven’t tried it? It’s quite simple, really. 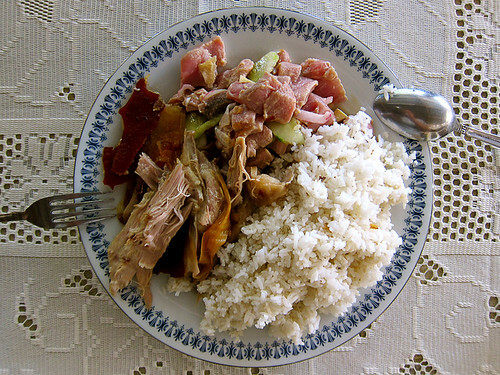 Just chop up your leftover lechon (meat, ribs, bones, ears, trotters, everything!) and marinate it with toyo (soy sauce) and calamansi. After letting it sit for a while, strain and deep fry the motherf*cker. Enjoy! The next day, we took a road trip to the Britania Islands in Surigao del Sur. Check out the post here. Got back to Butuan the same day in time for dinner where we had Wawa’s Adobo (mmm…garlicky) with Tita Susan’s crushed tomato sawsawan, which she learned in Pampanga. Sorry, was too tired from the long drive and didn’t have the energy to take pics of these. Monday, we had a big Calo gathering in Tito Ben’s house (yes, everything happens in Tito Ben’s house) for Wawa’s and Tito Boy’s death anniversary mass. Of course, where there are Calos, there’s food. 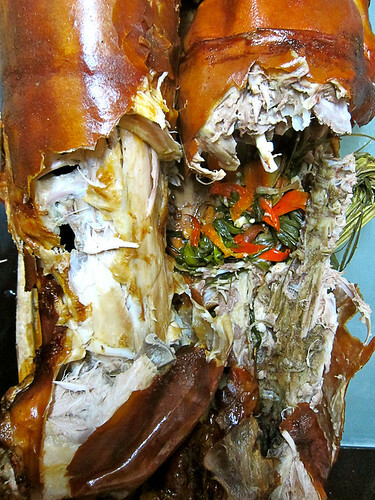 And what would a family gathering in Butuan be like without, you guessed it, lechon! 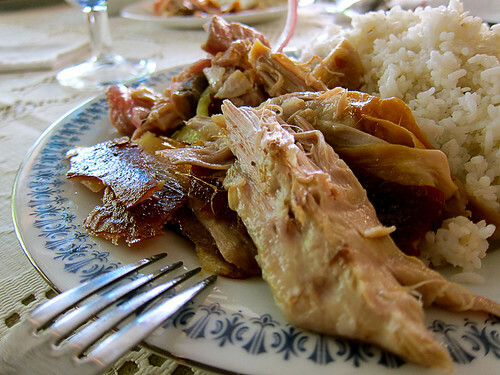 Butuan has the best lechon in the Philippines! Yeah, I said it. Bourdain, you’ve been misled and we would gladly have you over to try the best roast pig you’ve never had. Spent the rest of the afternoon swimming with Ro and hanging out with the cousins. 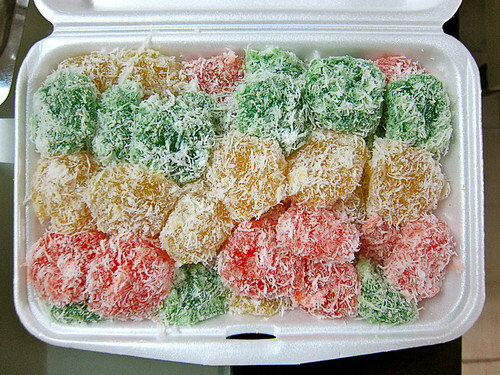 Some of the girls were craving for kakanin so we had Pichi-Pichi and Bibingka. Arny would leave Dading for this. 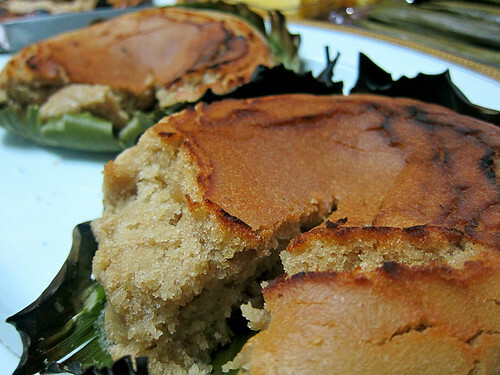 Bibingka made from rice flour. 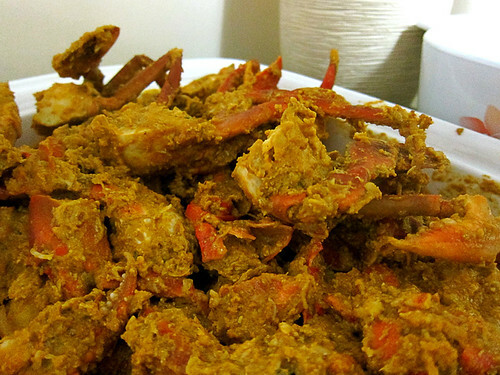 Dinner that night were the crabs that were featured in Amy Besa’s Ang Sariling Atin birthday lunch. Of course, no trip to Butuan would be complete without a stopover at Margie’s Kitchen. Life is unsure...eat your dessert first. See you next year, Butuan! RJ, I really enjoy reading your posts. Keep it coming! Astig! 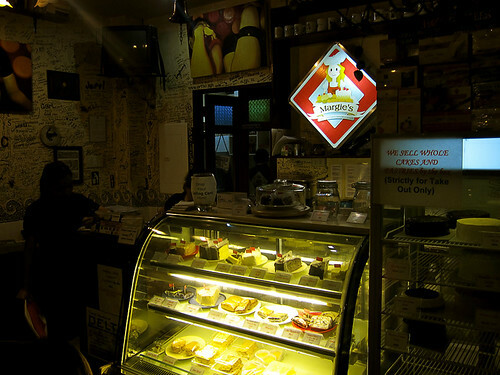 Margie’s Kitchen is the one that sells those yummy brownie chips, right? Gotta get my cousins to send me some of those soon. reading this made me miss home. 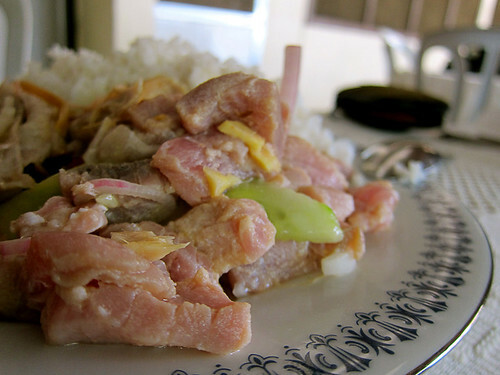 kinilaw and lechon is a staple during birthdays, fiestas, etc. 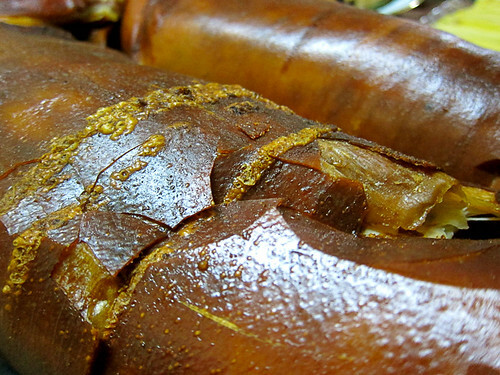 and i’m always excited to have lechon because the next day it’s going to be lechon paksiw.. fried lechon skin is the best!